To mark the recent passing of Alfréd Reisch (1931-2013), head of RFE/RL's Hungarian Research and Evaluation Section, OSA presents a selection of his research papers analyzing Hungarian politics of the 1980s. Alfréd Reisch was born in 1931 in Voorburg, the Netherlands, where his father was Hungarian consul. Educated in Geneva and New York, Reisch served with the US army stationed in Germany, taught in Columbia University, Washington DC, Germany and Turkey, and worked for the Hoover Institution and the National Archives at Stanford University. His research interests included diplomatic history, the 1956 Hungarian uprising, and the Free Europe Committee’s secret book project that ran from 1956 to 1991 and targeted the countries of Eastern Europe and later on the Soviet Union. His monograph on the project, which he coordinated, was published this year as Hot Books in the Cold War (Central European University Press, 2013). Reisch's first involvement with RFE/RL was interviewing over 2,000 refugees fleeing Hungary after 1956. 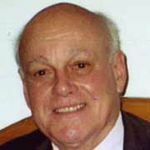 He also worked on the Columbia University Research Project on Hungary between 1957 and 1958 as an interviewer, transcripts of which are available in OSA's Digital Repository. Reisch worked as Senior Political Analyst with Radio Free Europe in New York from 1960 to 1974, and was Head of Radio Free Europe/Radio Liberty's Hungarian Research and Evaluation Section in Munich from 1982 to 1995. OSA has selected a number of RFE/RL research papers (Background Reports) authored by Reisch in the 1980s for the Hungarian Research and Evaluation Section, reflecting the range of his expertise, as well as RFE/RL’s monitoring and detailed analysis activities. On economic questions, Reisch’s paper 'A Closed or Open CMEA?' dated August 8, 1982 discusses Hungary's possible future orientation towards the global economy, while a report dated December 21, 1983 describes Hungarian Socialist Workers' Party control of "independent" trade unions. The Hungarian economic crisis of the late 1980s is detailed in 'Government Debate with Managers Sets Stage for 1988 Economic Plan', dated December 14, 1987. Concerning international relations, a comprehensive survey of Hungarian-American relations dated December 30, 1982 describes the efforts made by both states, but also ongoing questions of Budapest's crackdown on opposition figures. The role of dissidents is discussed in a report dated October 12, 1982 on János Kis's samizdat essay concerning post-Stalinist opposition politics, as well as coverage dated February 3, 1984 of the scandal surrounding the censure of the "tolerated" cultural journal Mozgó Világ, and a report dated April 17, 1984 on the difficulties surrounding the memory of one of the earliest show trial victims, László Rajk. Reisch's reports from the later 1980s illustrate the growing cracks in the Party's monopoly, including a discussion of de-Stalinization, "The Beginnings of the New Course" dated September 28, 1985, a report on Hungary’s erection of a statue to Raoul Wallenberg dated April 21, 1987, and coverage of rank and file criticism of the Party leading up to its 1988 Conference, dated May 7, 1988. Finally, in "Hungary's Wish Comes True", dated March 21, 1989, Reisch contextualizes planned Soviet troop withdrawals with reference to Gorbachev's policy of perestroika, and Hungary's economic problems.